A feminine silhouette and TRILOGY Series colours characterize this transfer layer built for mountaineering and mountain sports. This technical tee-shirt made of WOOL BLEND 150 combines Merino wool and Polyester for a perfect balance of thermal regulation and moisture management. The soft and naturally temperature regulating wool will keep you cool, plus it is anti-odour and anti-pilling. The polyester fabric has beneficial moisture-wicking properties and dries quickly. The women-specific and alpine ergonomic design avoids skin irritation caused by shoulder seams. 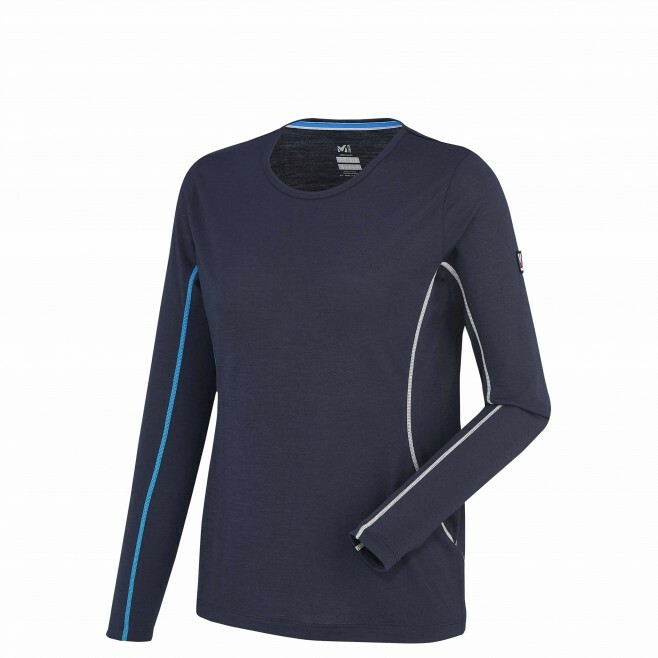 This tee shirt offers style and exceptional next-to-skin comfort and will keep you dry during intense effort.